Rona Garae is the perfect example of an empowered woman who built her business from the ground up from sheer dedication and hard work. Hers is a story of hope for women in the Pacific and reminds us all that despite negative circumstances, one can make a different choice to turn one’s life around. When she became a single mother, she took on all sorts of odd jobs in Port Vila including working at a butchery and a supermarket. She went back to the island and began cooking and selling wares there before working at an oil extraction company from 2008 to 2010. In those 3 years, she started getting some ideas about the oils but did not really know exactly what she was going to do. 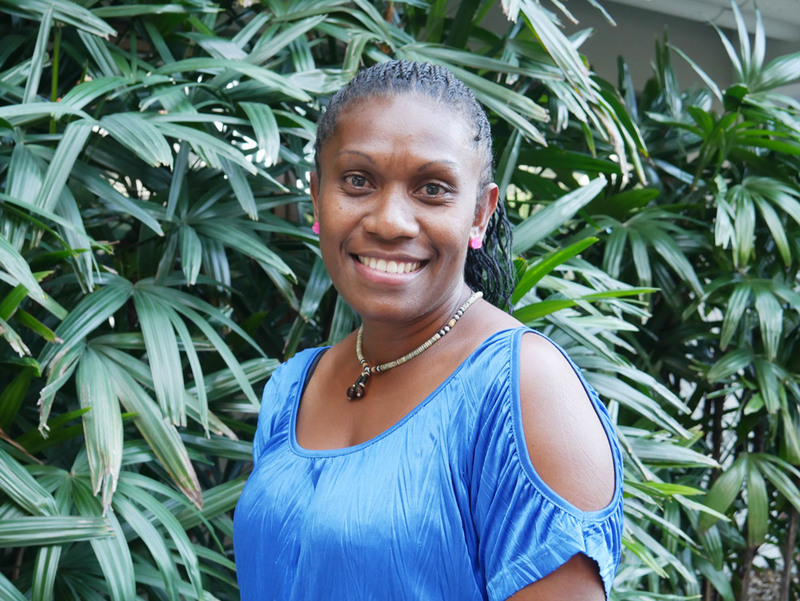 Rona headed back to Port Vila in 2011 to attend a few courses in Business Management and Computing at the Vanuatu Chamber of Commerce, and because she did not have much money, she could only pay for a 2-week course. But it was at the end of this course that Oils of Paradise was born. With the help of her tutor, she put her plan and ideas on paper and went on to register the business name. 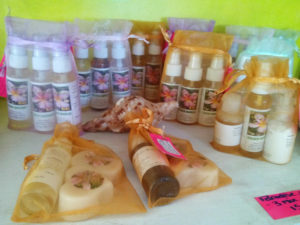 Some Oils of Paradise products. As soon as she was back in Ambae, she contacted her previous employer to ask him for some oils so she could experiment with products. He refused at first, thinking Rona might become a competitor. But when he understood that she wanted to create value-added products from his oils, he wholeheartedly agreed to help. Beginning with 5 litres each of tamanu oil, nangai oil and coconut oil, Rona started her experimentations. She struggled day after day for 3 months while having close to nothing in funds and a diet of noodles and water, to finally coming up with a few products she was proud of. 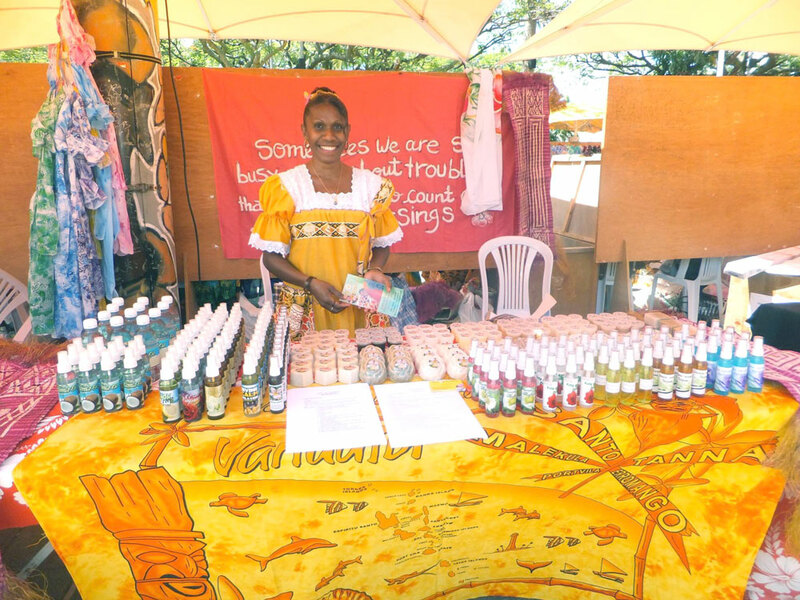 That was in 2012, today, Oils of Paradise manufactures and sells body moisturisers, hair products, soaps, oils, and scented candles using local ingredients from local fruits, trees and plants in Vanuatu like nangai and tamanu. Oils of Paradise had a retail shop in Port Vila until Cyclone Pam wreaked destruction in Vanuatu. Oils of Paradise was hit badly but Rona continued on importing raw materials from the women of her home island, salvaging and selling what they could to tourists and locals in her home. Most small and micro-businesses experience challenges in finance and market access, these are also two of Oils of Paradise’s biggest business hurdles. One of their immediate goals is to procure a small volume oil press machine and fund a branding exercise for better labelling and packaging of their existing products. Rona hopes to secure a grant so these plans can come into fruition. Greater market access was enabled further for Oils of Paradise when Rona joined PIPSO’s Trade Pasifika delegation at the Pacific Business Forum in Noumea this November. “I have made two partners in Noumea who will be selling Oils of Paradise in their shops in New Caledonia. This is a dream of mine that has been fulfilled,” Rona discloses after the Forum. From being a single mother who worried daily about feeding her children to becoming a full-fledged female entrepreneur taking care of her family, Rona Garae has certainly trudged that hard yet remarkable road of business to be where she is now. Interesting fact: Ambae Island inspired James Michener’s island of Bali Hai in his novel, Tales of the South Pacific.